Retrovolve – ToeJam & Earl Kickstarter Is a Success! ToeJam & Earl Kickstarter Is a Success! 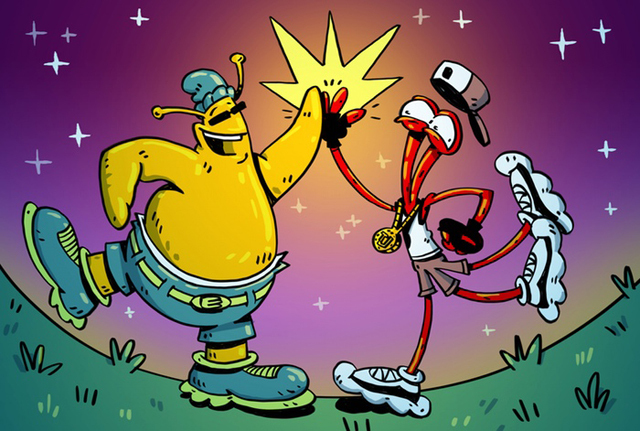 It’s official: The ToeJam & Earl: Back in the Groove Kickstarter is a success. HumaNature Studios was asking for $400,000 to help fund a brand new game in the ToeJam & Earl franchise. Today — March 25, 2015 — that goal has been reached. When that nerve-wracking line between “not funded” and “funded” was crossed, there were only about 50ish hours left in the campaign, so it came right down to the wire. For the studio, this means it’s go time. They’ve got quite a bit of work in store for them — drawing and coding and building and whatnot. For fans, though, all that’s left to do is wait.